A savings of $20 million. That was the immediate benefit of a Tableau dashboard created by ASM Research for the Army National Guard. Founded in 1975, ASM provides professional services and IT solutions for government organizations—and has worked with such clients as the Department of Defense and the Department of Veterans Affairs. In this video, experts at ASM Research, including Data Analyst Scott Cochran, describe the recent project that saved the National Guard millions of dollars. Says Cochran, “that makes me feel great because it makes me feel like I’m helping reduce the national debt." ASM Research has contracted with the Army National Guard for about 30 years. When the long-time client asked ASM to create a dashboard using multiple data sources, the team decided to approach the project with Tableau. The project's complex data environment and strong security needs presented a unique set of challenges for the team. Find out how ASM Research is creating solutions for the National Guard and many others in the full story. 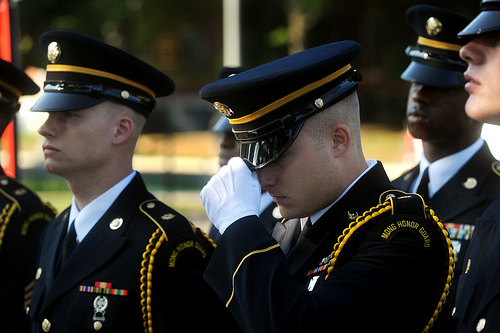 Photo credit: "Maryland Army National Guard" by The National Guard via Flickr; licensed under Creative Commons Attribution 2.0 Generic.